This week, the Dates & Mates gang gets back together for a trip down memory lane. Ray Christian, Producer J, and Producer Natasha join Damona in studio to talk about their favorite past show moments. They talk Bad Kissers, Good Exes, what your fridge says about you, and why hook up culture isn’t biologically viable for women. Damona shares some of her favorite show moments with guests Bridget Marquart, Torrei Hart, eHarmony CEO Grant Langston, Aarti Sequera, and Hinge CEO Justin McLeod. (6:43) Natasha’s Dating Habits have changed A LOT. Do you date the same way you did 6 years ago? 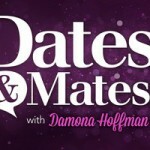 (24:22) Can you tell how dateable a person is by what’s in their fridge? When do you share important information about your lifestyle with the women you’re dating? Is it controlling if your boyfriend has a lot of comments about your outfits? Ray closes the show with one final Ray’s Rant about not taking everything so seriously. You ALL know that Producer J had a rebuttal. Damona always says that working out has greatly improved her relationship with her body. 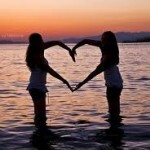 Begin a program with Beach Body on demand! 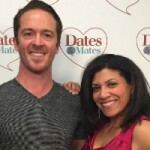 Just go to DatesandMates.com and click the Beach Body Banner to get started. Follow Ray on Instagram. Producers J and Natasha don’t have social media but you can show them love in the Dates & Mates reviews! Dear Mrs D Makes the Top 10!